Leak Doctor provides fast and non-invasive leak detection and repair services for residential properties in The Villages FL, Central Florida, and the greater Atlanta area. Our team of highly-trained technicians have a proven track record of finding the most difficult leaks for plumbers, septic companies, property managers, utilities, and consumers. 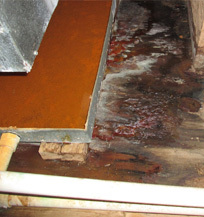 We have found thousands of leaks in single family homes, condominiums, apartments, and more. Whether your leak is above or below ground, Leak Doctor will find it without damaging your property or disrupting your business. With over 30 years of experience, the Leak Doctor has earned the reputation of Central Florida's and Atlanta's best. We provide hands-on service for every aspect of your leak and have cost-effective, real-time solutions to your leak problems. Why Choose Us For Your Leak Detection and Repair? We're committed to providing responsive service for every aspect of your leak problem. We will explain our leak detection and repair process to you every step of the way. 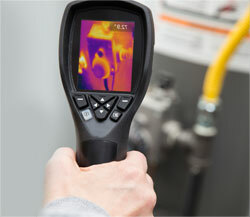 We offer the most cost effective, real-time solutions to your leak problems. We check your plumbing system and make the correct diagnosis for your leak problem. We use state-of-the-art equipment to avoid any damage to your property. "I was deeply impressed with the friendliness, professionalism and patient care shown by the Leak Doctor. We had a "hidden" leak, which took several hours to determine, and then he stayed another two hours to repair it...I am very pleased with the completion of the activity. I shall recommend the Leak Doctor to all my friends."